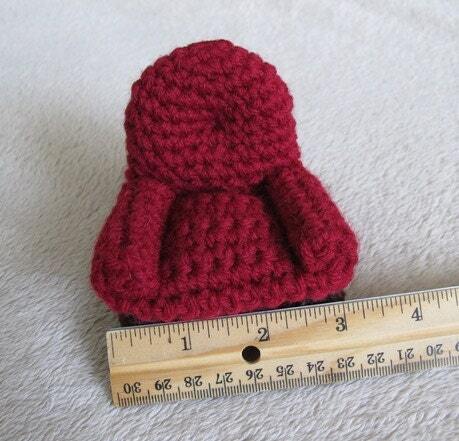 I had so much fun designing this little chair. It's just 3.25" tall by 3" wide and 2.25" deep. It's a nice size for 5 to 6 inch tall doll house dolls or smaller. The pattern is full of pictures to help guide you through the construction of this three dimensional crochet pattern. There are 30 pictures in all, covering every step of the way! 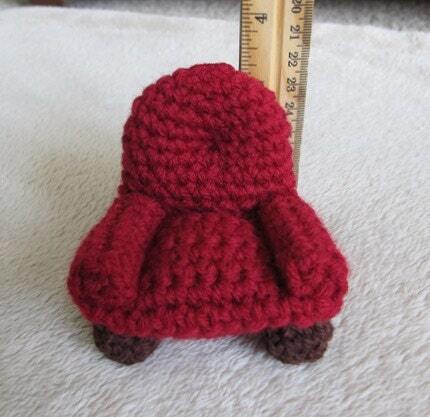 This purchase is for The Easy Chair pattern only. It does not come with the chair pictured here. 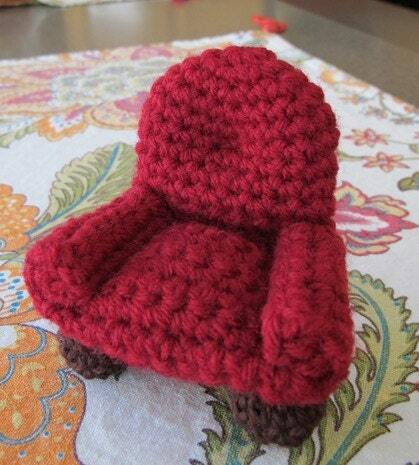 I hope you enjoy making The Easy Chair!